Hello friends! Kari here from Life PreKARIous. 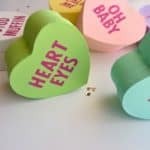 These oversized conversation hearts are so adorable! 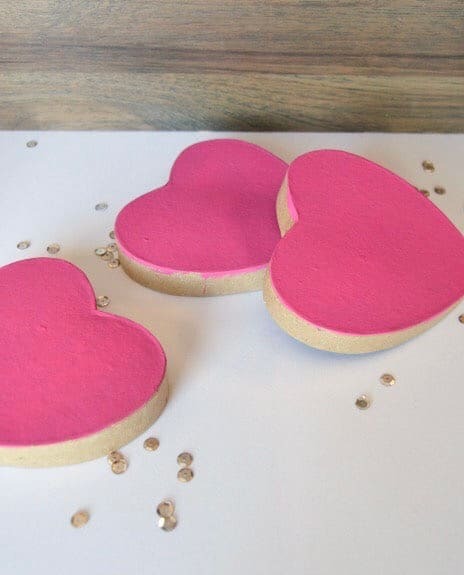 I am so excited to show you how to make your own! I am such a sucker for holidays and Valentine’s Day is one of my very favorites! The candy, flowers, cheesy cards…what’s not to love? To start, paint the tops of each heart shaped box dark pink. Allow the paint to dry. Once the paint is dry, you’ll add the words to the top of the boxes using the alphabet stickers. You can use any fun saying or greeting you’d like! 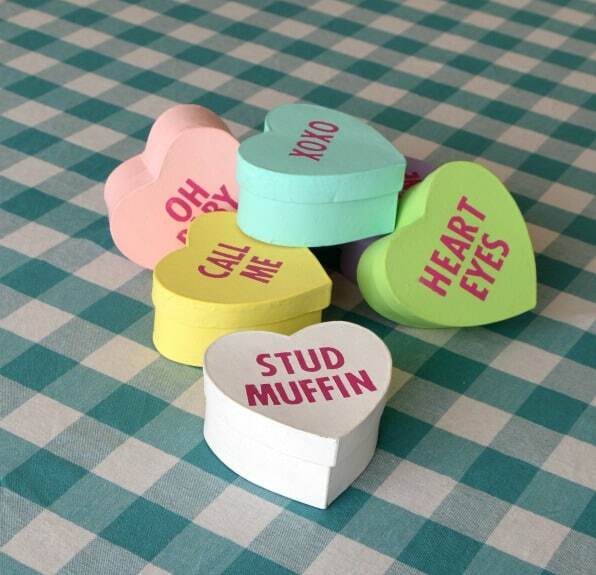 You can even customize them with names to give to your loved ones. After you’ve placed the stickers, paint the entire lid a different color of your choosing. I used light pink for this one. Paint directly over the stickers. Now, using tweezers, remove the stickers. This will reveal the dark pink paint underneath! To finish, paint the rest of the box to match the lid. 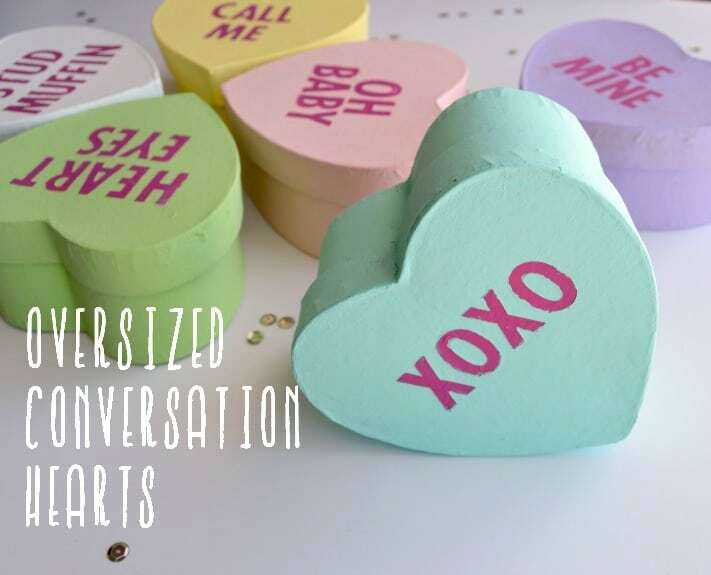 Repeat to make as many oversized conversation hearts as your own heart desires! Aren’t they cute?! 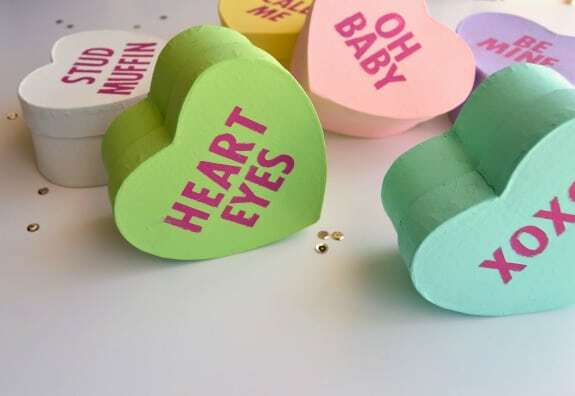 Fill them with candy and give them to your Valentine, or simply use them as fun holiday decor! I might even use mine as part of a centerpiece for my table! 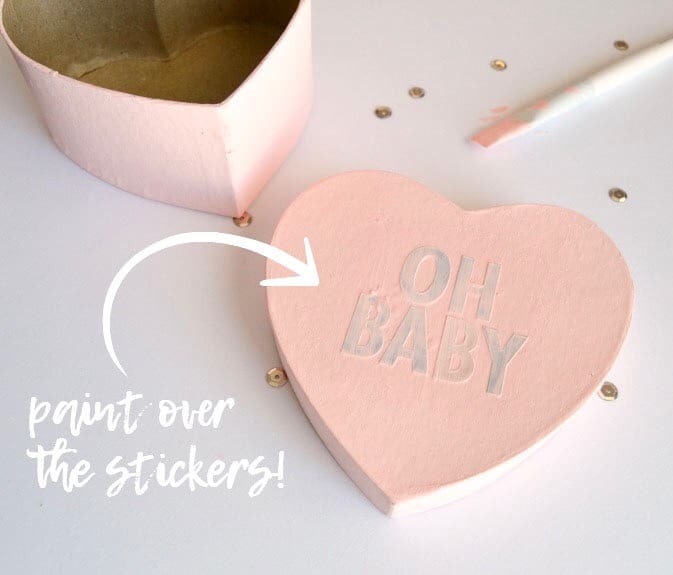 Check out my other DIY Valentine’s here!